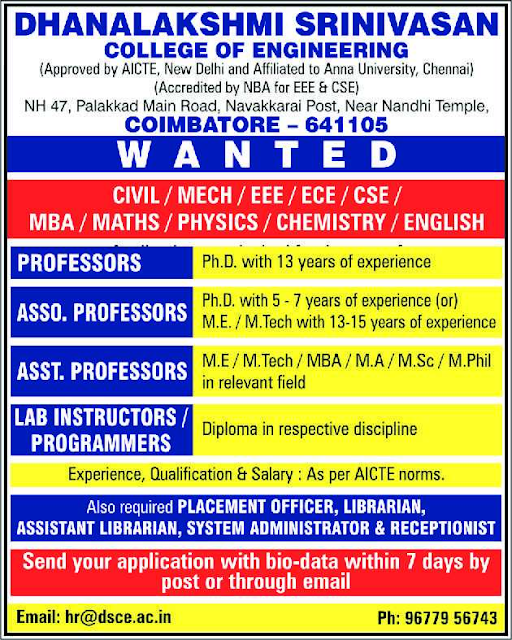 Dhanalakshmi Srinivasan College of Engineering, Coimbatore has advertised for recruitment of Teaching Faculty- Professor / Associate Professor / Assistant Professor Plus Non-Faculty jobs vacancies. 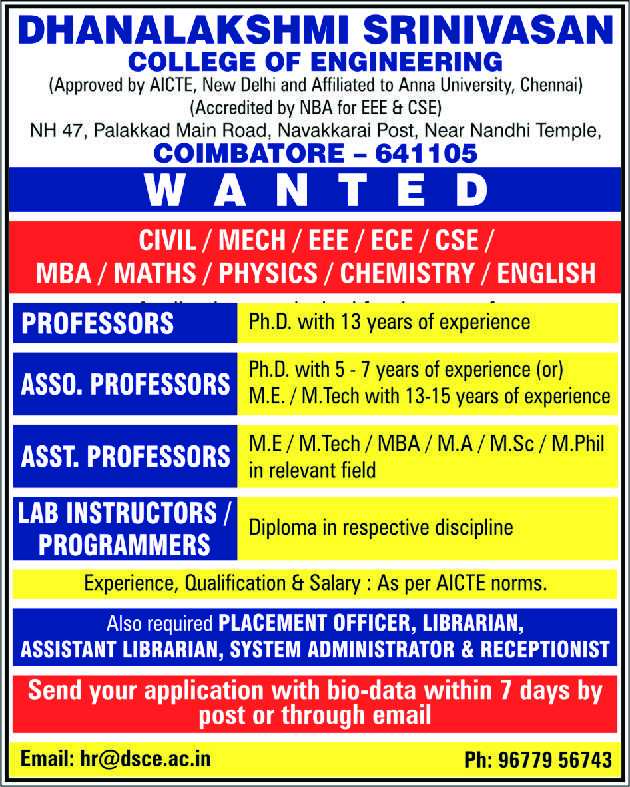 Interested and eligible job aspirants are requested to apply within 07 days from 27th March 2019. Check out further more details below. M.E / M.Tech / MBA / MA / M.Sc / M.Phil / Ph.D. Detailed qualification is shown below.